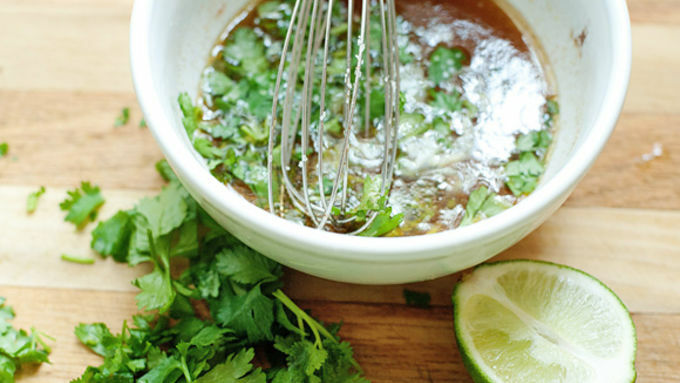 In a small bowl, whisk together lime juice, vinegar, honey, olive oil, chili powder, cumin, cayenne, salt, and pepper. Set aside. 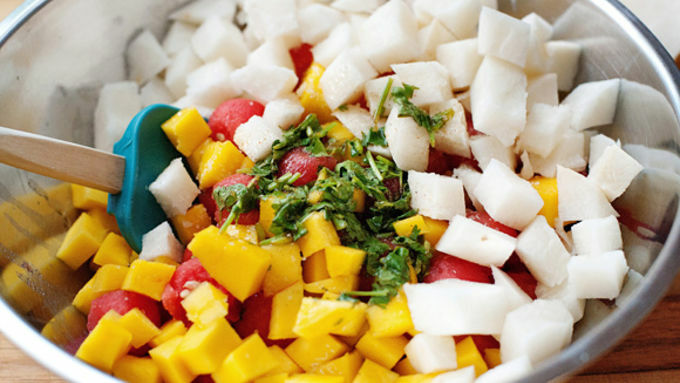 Combine watermelon, jicama, and mango in a large bowl. Pour dressing over and toss well. When I was a little girl, my mom owned a catering company. I remember her crew filling hollowed out watermelons with fruit salad just about every single day. I spent a lot of time with a melon baller in hand, helping them make perfect little circles out of watermelon, cantaloupe, and honeydew. It might have tasted good, but it was totally boring! I’ve taken the watermelon salad and brought it to present day. But I just couldn’t give up the watermelon bowl – that needed to stay. Call it a throwback to the ‘80s. You can serve this salad in a regular dish, but it adds a fun twist to use the watermelon rind as the bowl. To do this simply wash the outside of your watermelon, and cut in half. Cut a little bit off of the bottom to keep the watermelon steady. 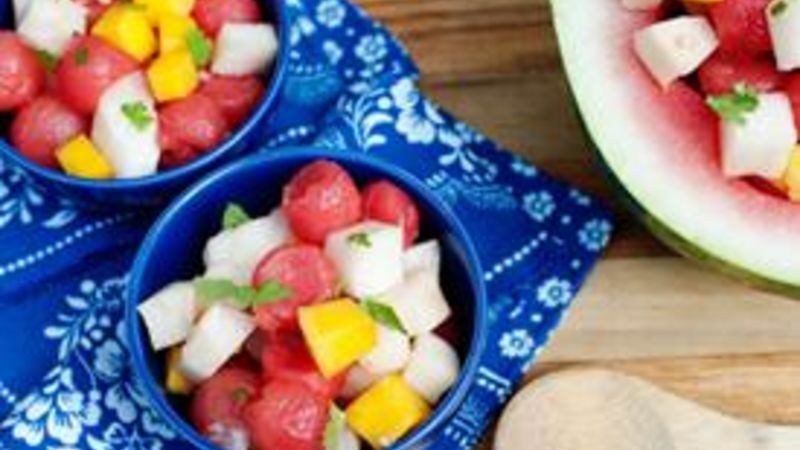 You don’t want your watermelon bowl to roll away, do you? Using a melon baller, start to make watermelon balls. Put them in a large bowl. When you have gotten all the watermelon out of the rind, scoop out the inside to hold the rest of your salad. Pour the dressing over the fruit and toss well. 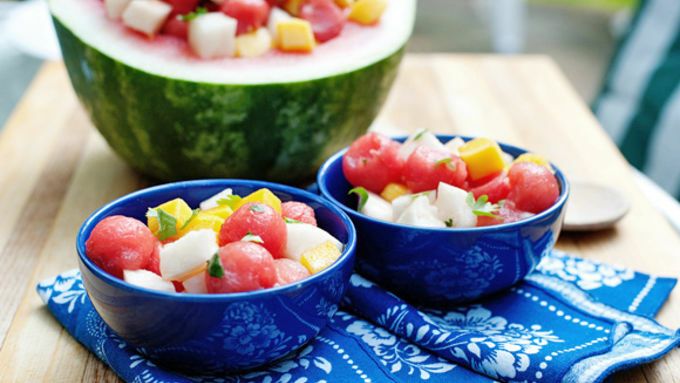 Put the salad into the watermelon bowl and enjoy!